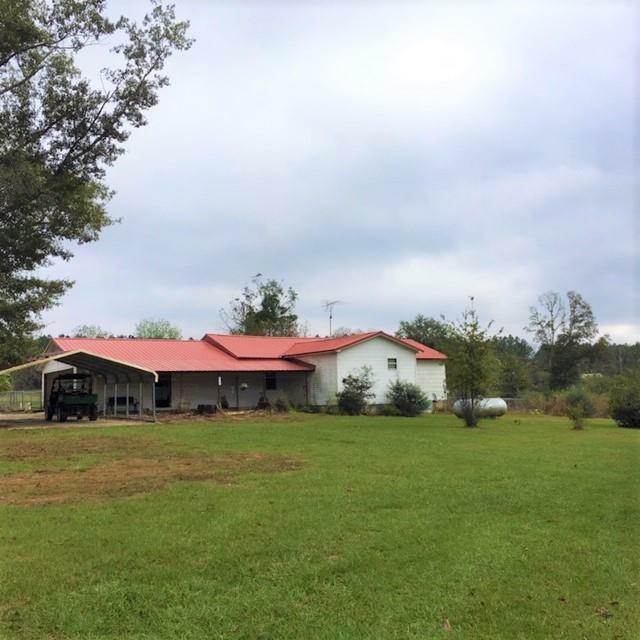 Warm and inviting house on 30 acres of seclusion just minutes from Opp, AL. Has 65x60 barn with shop, A/C , fireplace, restroom, and potential for mother in law suite. Two other barns with power. Has a set up for chicken houses. Fenced front yard and partial fence around perimeter. Lots of wildlife. Multiple pecan and fruit trees. Additional house available for sale as well.